This post was created in collaboration with Selfridges. 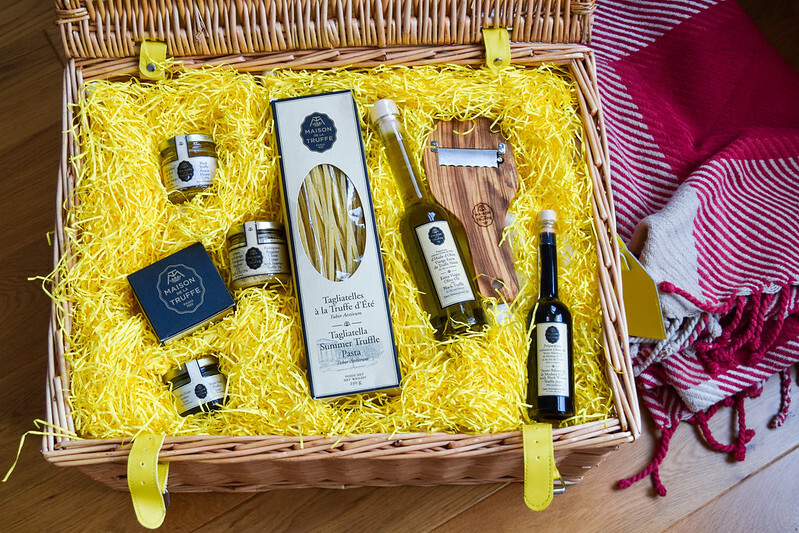 Is it just me, or is there something really magical about a really great Christmas hamper? 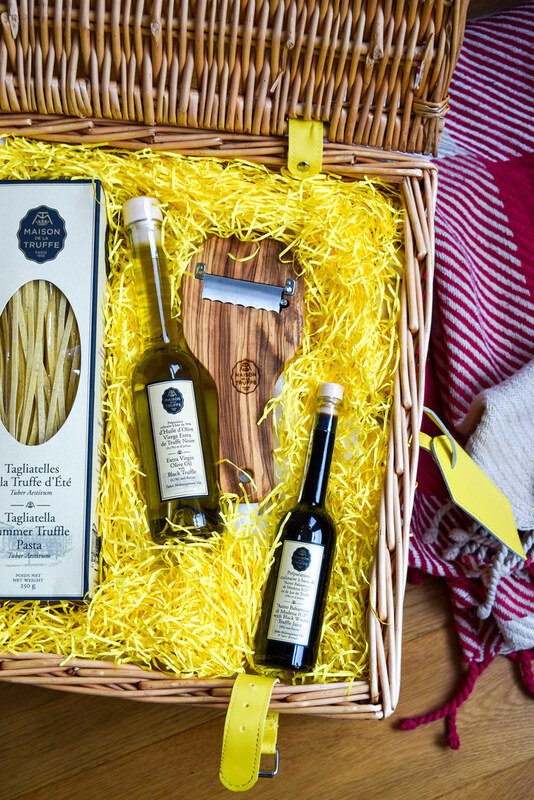 I don’t mean those gift packs made up with different products from a store to try and boost sales over the holiday period, I mean proper, luxury hampers, made from wicker and stuffed with goodies you’d actually want to receive. If you tailor the hamper to the right person (or family) I think they make wonderful gifts that people don’t really think of giving anymore. And you really should. 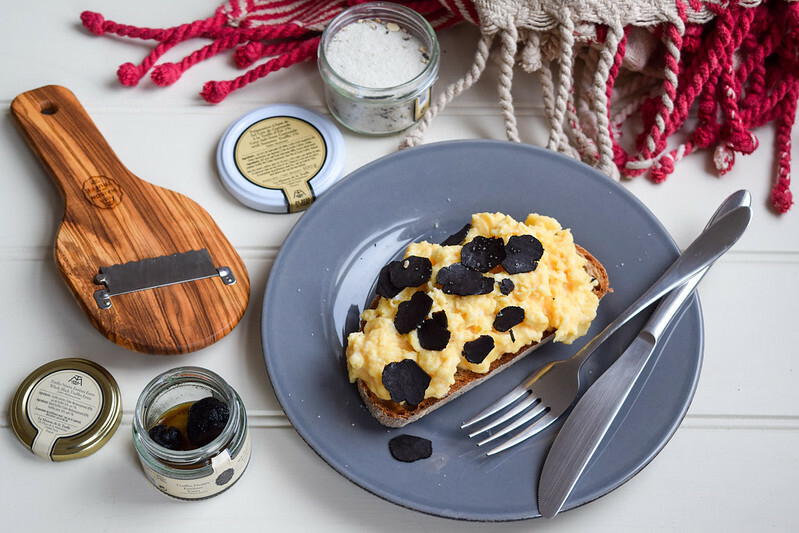 When the team at Selfridges asked me if I’d be willing to showcase one of their food hampers this year I was instantly drawn to their Selfridges selection truffle hamper. I was browsing the Selfridges Food Hall a couple of weeks ago as I’d arrived a bit early for bridesmaid duty at a wedding dress fitting nearby (it was clearly an auspicious day as we found the one!) and I spent ages obsessing over their truffle section. 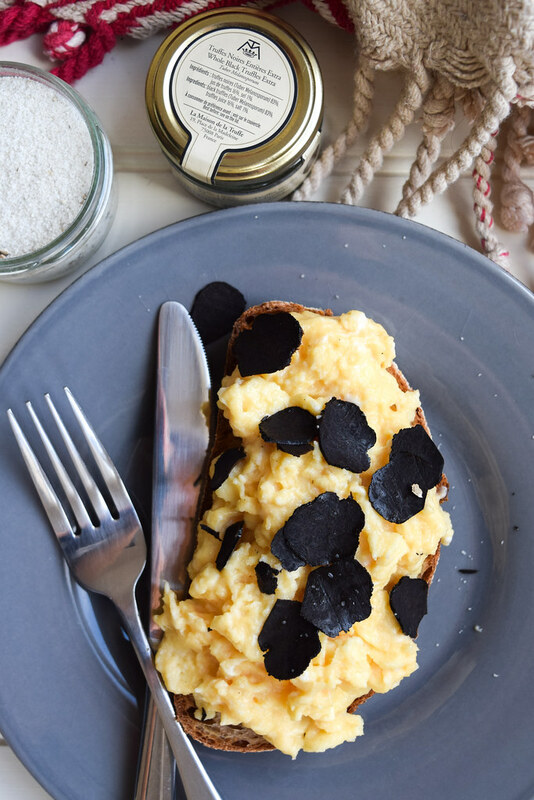 I’m a truffle fiend, I love it in all forms and this love was only amplified a few years ago when I was lucky enough to visit a truffle farm in the Dordogne Valley and I learnt how truly precious each truffle is. This hamper is basically the best of everything in the food hall truffle section: a beautifully delicate jar of truffle infused acacia honey, some fantastic French sea salt infused with truffle you can pretty much guarantee I’ll be sprinkling on everything, two (one big, one tiny) preserved black truffles and a fantastic truffle shaver to go with (I now love that this is the fanciest gadget in my kitchen), truffle infused pasta, truffle infused olive oil, a pot of summer truffle parmesan cream (perfect for stirring into pasta or risottos) and a lovely, syrupy balsamic vinegar infused with black truffle juice. If you know someone who loves truffles as much as I do, get them this for Christmas and they’ll love you forever. While shaved truffles are always a luxurious little treat over pasta (yes, if I have a really stressful day between now and Christmas I do plan to cancel all dinner plans and cook up the hamper’s box of truffle pasta, stir in some of the truffle parmesan cream and then shave some truffled over the top!) 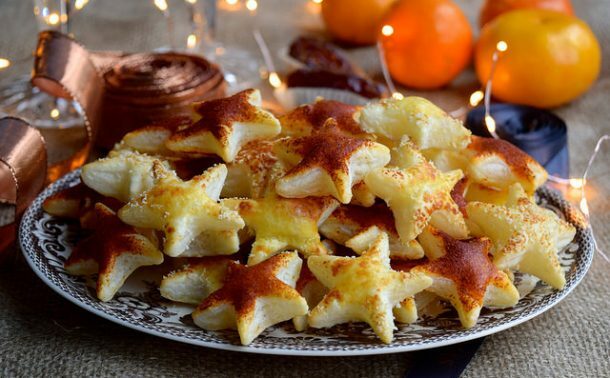 I think they’re also incredible over scrambled eggs, and the perfect treat with some Bucks Fizz for Christmas Breakfast. 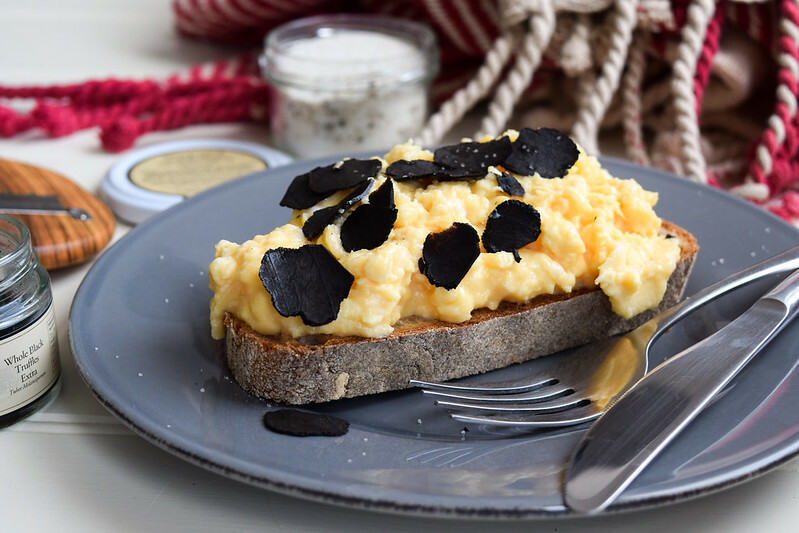 Simply serve (unseasoned) soft scramble eggs over a piece of toast made from really good bread, shave a liberal amount of truffle on top and finish with a generous sprinkling of truffle infused French sea salt. The perfect start to the day! 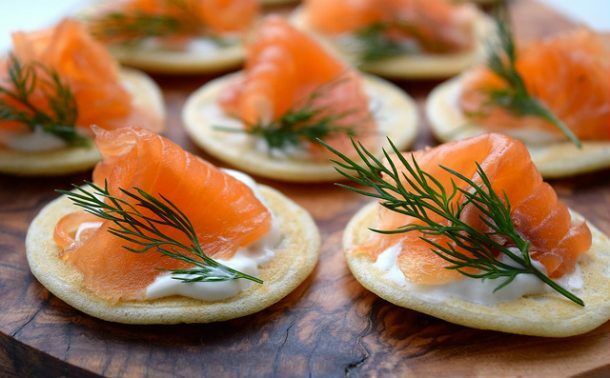 Christmas is also canapé season, and I’ve learnt from experience that the simpler, the better. 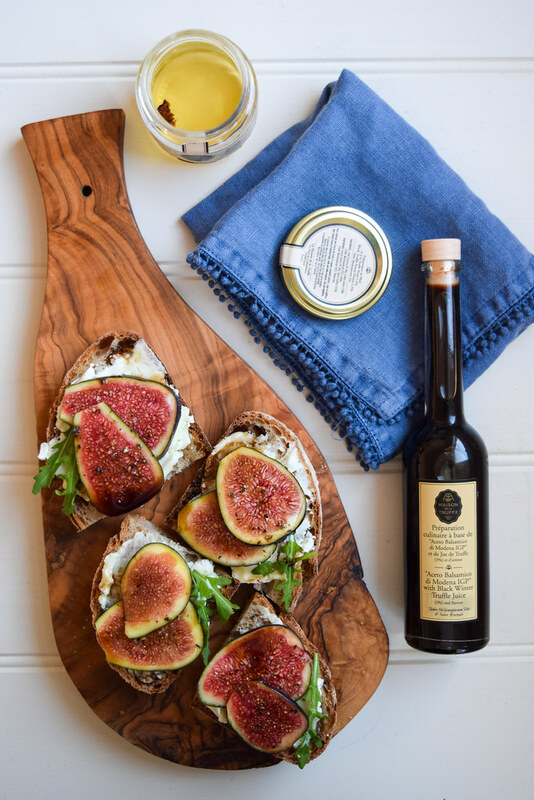 I’ve long found the key to simple, memorable mouthfuls is top ingredients, so I only sourced the best to make these Fig & Goats Cheese Crostini. 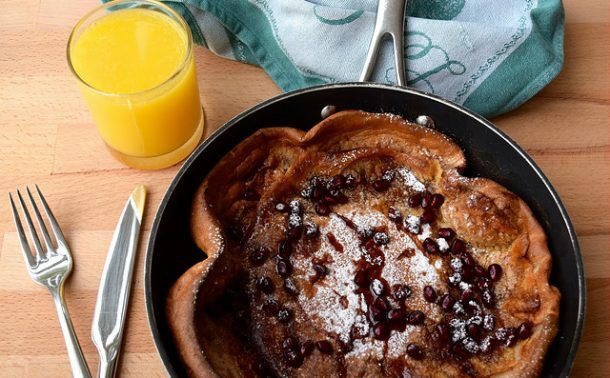 They’re perfect to go with Christmas breakfast, before Christmas lunch or to snack on while opening presents, if like in my family that is what you like to get up to before lunch is served! Top very thin slices of day old bread with a slick of goats cheese (as truffles always make me think of the Dordogne I used my favourite French goats cheese from Rocamadour) and a few slices of ripe, soft fig. 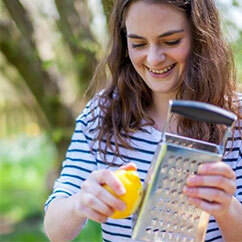 Add a little rocket if you’ve got any for colour and punch, then grind over a generous amount of black pepper. 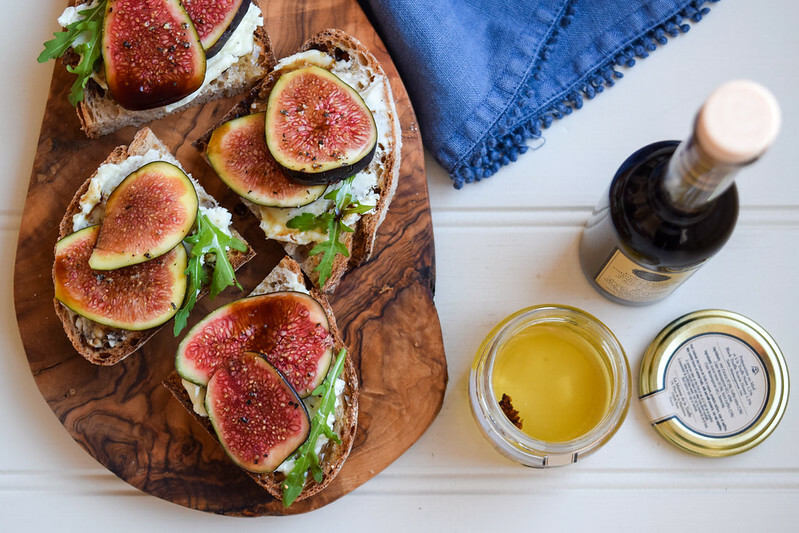 Add a touch of luxury (and really amp up the flavours!) by drizzling over some truffle infused honey and truffle infused balsamic vinegar. 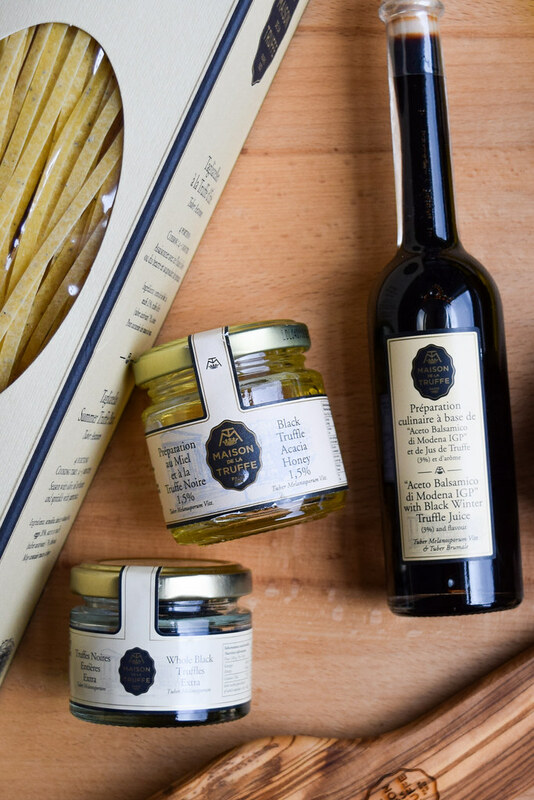 You can place an order for Selfridges Truffle Hamper here.